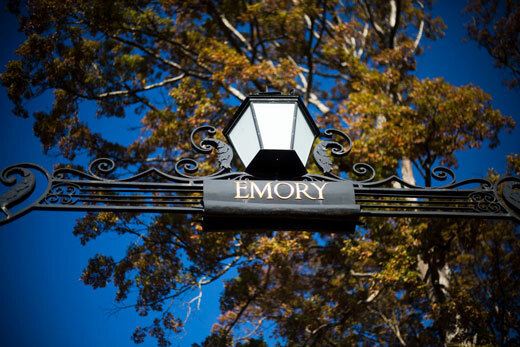 Emory has an opportunity to find a dynamic next leader for Emory College of Arts and Sciences. President Claire E. Sterk, with support from Interim Provost Stuart Zola, has charged a search advisory committee for the dean position. “Emory’s interdisciplinary liberal arts core emphasizes critical thinking and problem solving for undergraduates, qualities that are inherent in an education that enlarges the mind,” Sterk says. “Finding an innovative and visionary leader who allows students, faculty, academic programs and scholarship to flourish and grow is essential in increasing excellence across Emory College. The search advisory committee — chaired by Oxford College Dean Douglas Hicks, with math and computer science professor Li Xiong as co-chair — will work with search consultants from the firm of Heidrick & Struggles to identify a slate of experienced candidates. The process already has launched listening sessions for the desired qualities for the next leader. Committee members will identify and interview applicants for the dean’s position throughout the fall and early spring semesters, and final candidates will be invited to campus in March and April of 2017 to meet with key constituencies. The goal is to announce the next dean before the summer break.